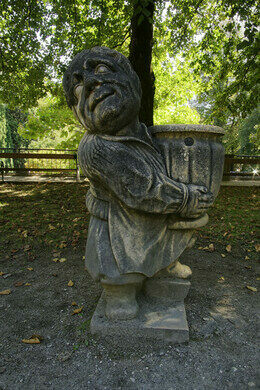 The Zwerglgarten, or “Dwarf Garden,” in Salzburg, Austria was created in 1715 by Prince Archbishop Franz Anton Harrach. 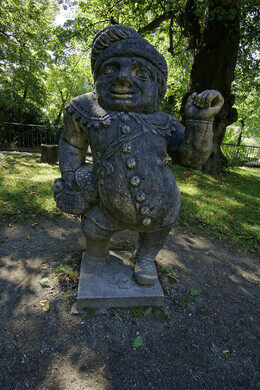 Many of these creepy dwarf statues were modeled after dwarves who lived in the court and served as entertainers to the archbishop. The rest were inspired by peasants and foreigners. 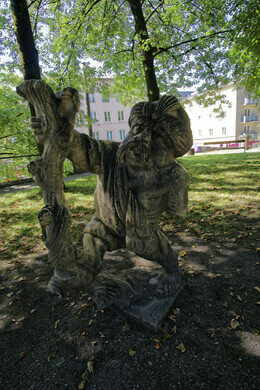 The Mirabell Palace and the adjoining garden, which is filled with statues, fountains, and geometric floral designs, was built by Prince Archbishop Wolf Dietrich in 1606 for his mistress and her children. 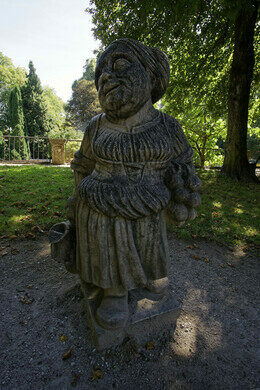 The Dwarf Garden resides at the north end of the beautiful Mirabell Gardens, but for a time, the gardens were dwarf-less, thanks to a very superstitious resident of Mirabell Gardens. Today, these “disfigured creatures with their goiters and hunchbacks” have returned to their rightful place at Mirabell, standing in a semi-circle, a charming and delightful blemish in a perfectly landscaped garden.